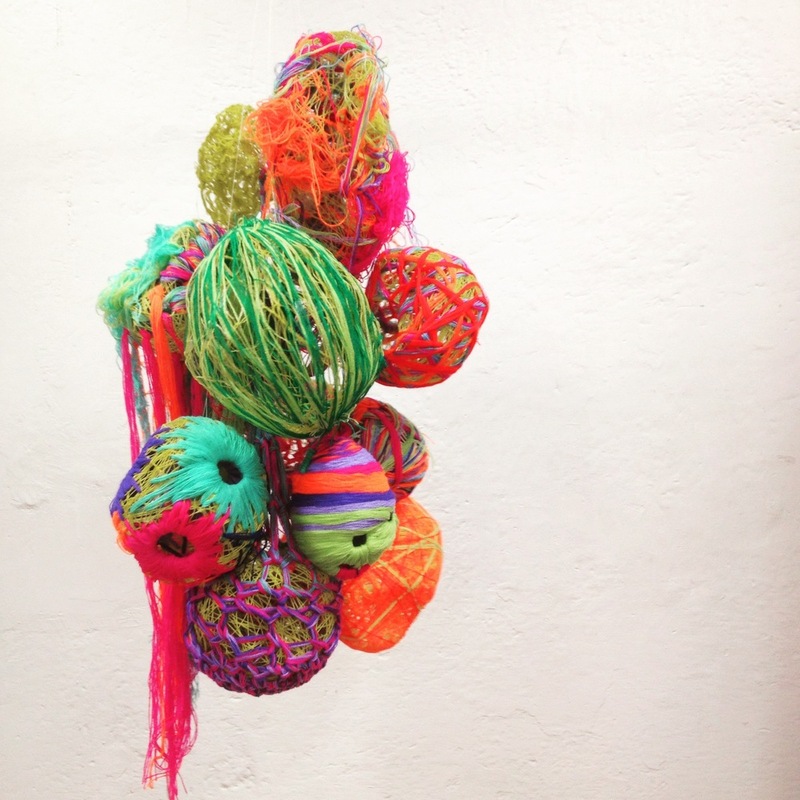 This month’s creative crush is Mexican textile designer and artist Karla Belinda Amezcua Márquez. Karla is the founder and director of Taller Textil Dos Coyotes in Mexico City and is currently an artist-in-residence at Textile Arts Center in New York. She will be co-hosting our February workshop Mexican Hot Chocolate Tapestry Weaving. Everyday I do the passion of my life: CREATE and TEACH, most of the time I do in textiles. When did you first discover textile arts? Why did you decide to pursue art? It was matter of time, I have always had the need to express no matter what I am doing. I do drawing, painting, sculpture, photography, writing, weaving… I choose textiles as the main root but interweave all of them. How do you combine textiles and design to make art? The beginning of all my textiles designs is art. For example, now my business partner and I have a brand of textile design “Lavanda” --our first collection was up-cycling textiles from factories with the purpose of making handmade rugs, furniture and crocheted baskets. For me, the root of this project was the art rug that I made with my old clothes. I was fascinated working with “the memory and the time” and at the same time I was reusing textiles…. and that’s it, I found a path to make design. What do you do to overcome a creative block? Walk around! It always works--it can be a little walk or a really BIG one--it’s proportional to the creative block. The way to do one thing in different ways. What's one thing you have to do everyday? Drink coffee!!! I’m such a caffeine junkie. What one piece of advice would you give to an artist or entrepreneur just starting out? Do it! You will never know if you don't do it. You can have excellent ideas but if you don’t act you will never know if it was a really good idea. At the end of the day, you will learn and surely know if you are in the right path. Follow Karla on instagram at @karlabelindaaa and visit her Taller Textile Dos Coyotes and Lavanda Design on Facebook! 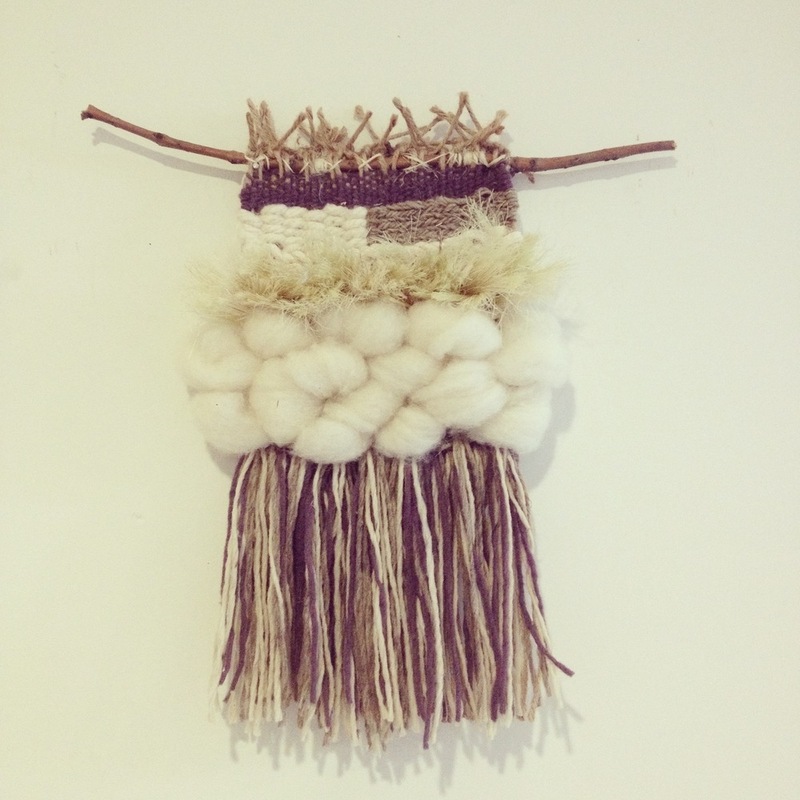 And don’t forget to RSVP for our February workshop to learn how to weave tapestries from Karla. Karla Belinda Amezcua Márquez is a Mexican textile designer and artist, born in 1983, and graduated from the Universidad Iberoamericana, Campus Puebla. She is currently completing the Graduate Visual Arts at the Academy of San Carlos, UNAM, Mexico. 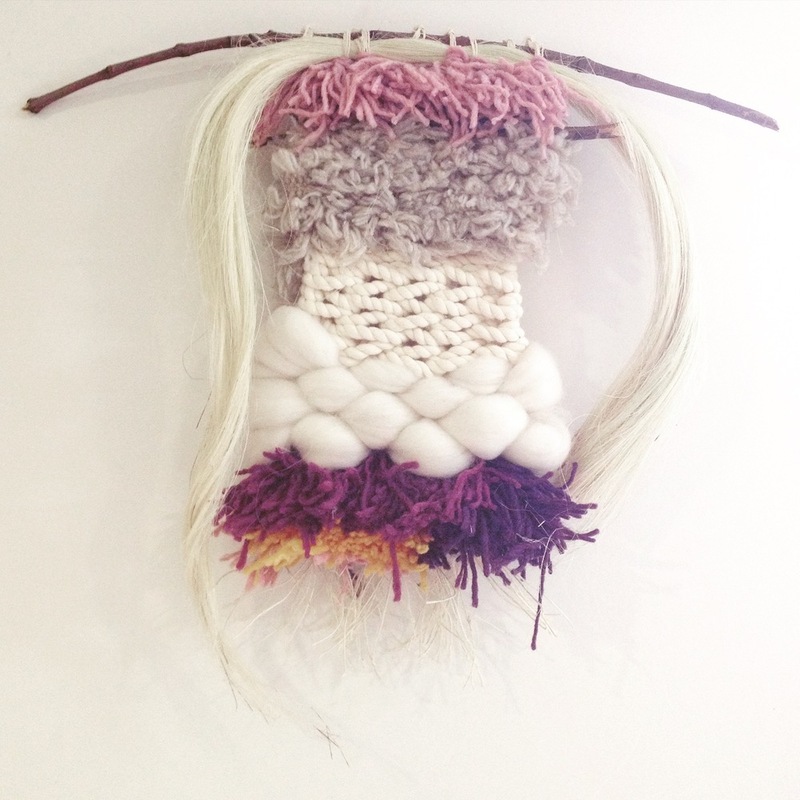 Her inspiration includes sculpture with knots, felting and its relationship with space-time. She has participated in group exhibitions at the Art Salon Recycling, and presented at the Centro de las Artes de San Agustin Etla, Oaxaca, Mexico, under the framework of the VI International Biennial of Contemporary Textile Art 2011 WTA. In 2013 she won first place in fabric design in the VII National Biennial of Design in the Instituto Nacional de Bellas Artes in Mexico. She is currently an artist-in-residence for “Work in progress” at the Textiles Arts Center in NYC. Karla Belinda has taught workshops in Mexico at the Museum Sala de Arte Público Siqueiros in Mexico City, Mexico, the University of the Basque Country in San Sebastian, Spain, and in Taller Mexicano de Gobelinos in Guadalajara, Jalisco, México. She has participated as a speaker at the Annual Festival of Textiles in Mexico City and also at the 1st Textiles Meeting of Mesoamerican organized by the Textile Museum of Oaxaca, Mexico. She is also the founder and director of Taller Textil Dos Coyotes, its philosophy is experiment, study and diffusion of the traditional textiles techniques through art and design. In partnership, she founded the brand “Lavanda Design & Materials”, using Mexican design to produce high quality handmade products.